How Do I Tell If it Is Food Grade Plastic? 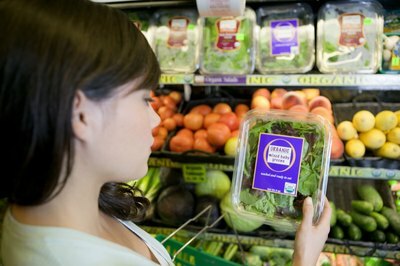 Only seven types of plastic are considered "food grade" by the U.S. Food & Drug Administration. 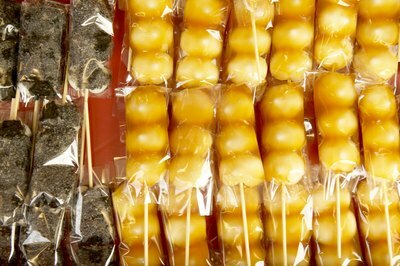 Plastics used to package food must be of high quality and cannot contain harmful dyes or chemicals. 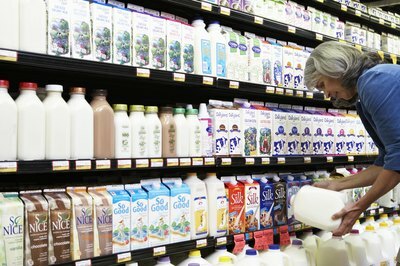 The Society of Plastics Industry has established a seven-point system of categorizing and labeling food-grade plastics. Learning how to tell if a plastic container is food-grade plastic is easy. Look for a triangle-shaped label with rounded corners made of three arrows, then check the number in the center to determine what type of plastic is in the container. Polyethylene terephthalate (PET) is used most often in bottles carrying carbonated drinks because it has better gas-containing properties than other plastics. 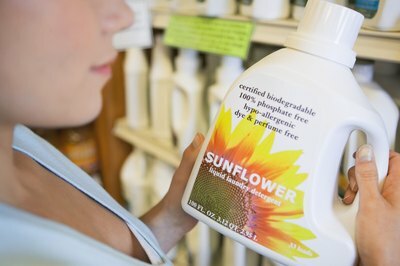 It is most commonly used for soda bottles, beer and detergent. High-density polyethylene (HDPE) is the plastic of choice for milk and juice jugs and other such item that need to be held in a rigid container. Not only does HDPE have superior moisture-resistant properties, it is also resistant to chemical and detergents used in the household. 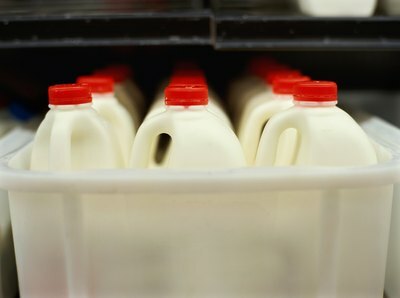 In addition to milk bottles, HDPE can be found in 5-gallon food buckets and disposable shopping bags. It is important to note that not all HDPE containers are considered food-grade. If they are not labelled specifically as "food safe," the container should be lined with a food-grade plastic bag before storing food in it. Polyvinyl chloride (PVC) is used in all manner of food wraps. 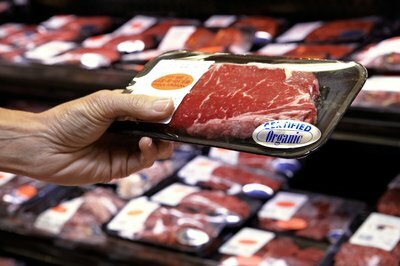 It is transparent and strong and clings very well to food when used as a wrap, but it also allows enough oxygen through its surface for products that need to "breathe," such as fresh meats. Garden hoses and shoe soles are also often made with PVC, as are the white plastic pipes used for household plumbing. Low-density polyethylene (LDPE) is similar to HDPE, but is more flexible and is used to make squeeze bottles and tubing. 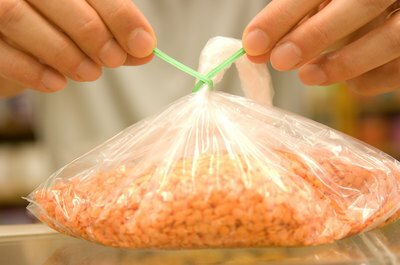 It is clear and very strong and is often used as a food wrap and garbage bags. It is also used as a coating for milk cartons. 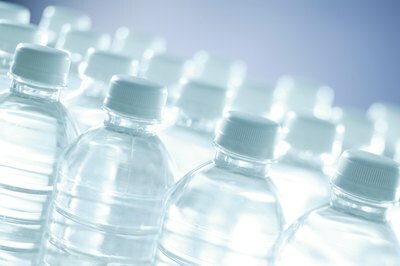 Polypropylene (PP) is perfect for containing products that are bottled while hot and allowed to cool before shipment. It has a high melting point and is often used to contain foods that are packaged when hot, such as ketchup or maple syrup. It is very strong and can be used for twist-on caps and lids, such as the type on soda bottles, and drinking straws used at fast-food restaurants. Mass marketed plastic storage containers are often made of PP. Polystyrene (PP) is an excellent insulator and is often injected with air to make foam packing products such as egg cartons, coffee cups and meat trays. More rigid forms of polystyrene are used to make cafeteria trays. All other types of plastics are denoted with the "7-Other" designation, and cover a wide range of materials including acrylic, fiberglass, nylon and polycarbonate. Plastics labeled as grade 7 should be specifically noted as being "food safe" before they are used to package or handle food. What Is a Food Grade Container for Transporting?